This two day-workshop is an initiative of the Political History PhD Network. It was organised by Alessandro Capone (Sciences Po Paris), Thomas Maineult (Sciences Po Paris), Frederik Frank Sterkenburgh (University of Warwick) and Anne Petterson (Leiden University). The second annual workshop of the Political History PhD Network, created in 2014 by PhD students from the universities which joined the Association for Political History, took place at the University of Warwick on 16 and 17 December 2016. The first meeting, held at the University of Leiden in October 2015, had investigated possibilities of “Understanding Political History in and Beyond the Nation State”. The second workshop was aimed at questioning the categories used to distinguish the early modern and modern phase in four fields of political history, each of which provided the topic of a thematic panel. Young scholars coming from universities in England, Finland, Germany, France, Italy, Spain, the Netherlands and the United States presented their doctoral research on Parliaments and political deliberations (panel I), Confronting the emerging modernity (panel II), War and security (panel III) and Nation and state building and the language of politics (panel IV). The workshop included a keynote speech by Constanze Sieger (University of Münster) on and a round table with Mark Philp, Pierre Purseigle and Charles Walton (University of Warwick). Focusing on parliaments and political deliberations, in Panel I speakers underlined the importance of the study of decision-making processes and the influence of ideologies on the institutional framework of supra-national institutions. On day 2, specific attention was payed to the set of political decisions, the confronting ideologies and the role of women in parliamentary institutions. Zachris Haaparinne (University of Jyväskylä) analyzed the multisitedness of eighteenth century decision-making processes through the conceptual construction of ideas on representation in Britain and its Thirteen Colonies, with a particular focus on petitions and debates on petitioning. Using parliamentary records, the press and pamphlets, he concentrated on the problem of public sphere (Habermas) and stressed the intrinsic diversity and asymmetry of the eighteenth century political sphere. Leonard van ’t Hul (University of Amsterdam) studied the political deliberations on the rearranging of the state-religion interlocution in the Netherlands between 1946 and 2009. Developing on recent trends in this field of study that casted doubt on the perspective of decline of religious organizations, he delved into the prolonged political deliberations behind the changes and continuities in the position of religion in the public domain. He insists on the interplay between religion, the state, and society with the example of the political deliberations on eligibility of ‘new’ faith-based organizations to provide spiritual care in the army. Rather than declaring religion plain dead, the case of the political deliberation on spiritual care in the armed forces shows that there are other dynamics at play that, surprisingly, even empowered faith-based organizations. Carlos Domper Lasús (University LUISS-Rome) focused on the complex relationship between nationalism, elections and the European integration process. He underlined the influence of nationalism in the setting of the institutional framework of the European states which is a key element to explain the appearance of the differentiation in the current European political reality and, therefore, in the shaping the EU as a “system of differentiated integration”. In this regard, although the process of European integration has transformed the state model which was forged by nationalism, it has not removed the mechanisms inherited from nationalism that make them work as independent political units and jealous guardians of their autonomy. On day 2, Lauren Lauret (Leiden University) described the meeting locations of the Dutch States General and the continuity of the early modern political world between 1719 and 1830. Considering the meetings’ different physical settings and the administrative machinery behind it, she underlines the fact that each regime change had significant impact on the States General physical appearance and practical, administrative organization. Constitutional changes confronted Members with both new political – and sometimes physical – surroundings, and consequently with questions on how to proceed correctly, both in terms of space and on paper. The crucial proximity between the States General, its archive and administrative office (griffie) for its proper functioning is also very important. Indeed, a decent working relation between the States General and its griffie has emerged as a lifeline between the old States General and its constitutional successors. Charles Lenoir (Sciences Po Paris) concentrated on how to deal with reform, analyzing the use of historical references to legitimize conservative political stance regarding the reform of the state in France and United States in the late 19th century and early 20th century. Indeed, in France and the United States, conservatism changed in similar institutional contexts. Both countries were characterized by a disorganized conservatism, which became increasingly concerned by the expansion of the state from the late 1880s. In both countries, conservative figures referred to a founding moment of history to legitimize their stances regarding the reform process leading to the strengthening of the modern state. Despite some differences, a similar set of values and historical interpretation were shared across traditional political barriers and helped to grasp a conservative discourse at the turn of the century. 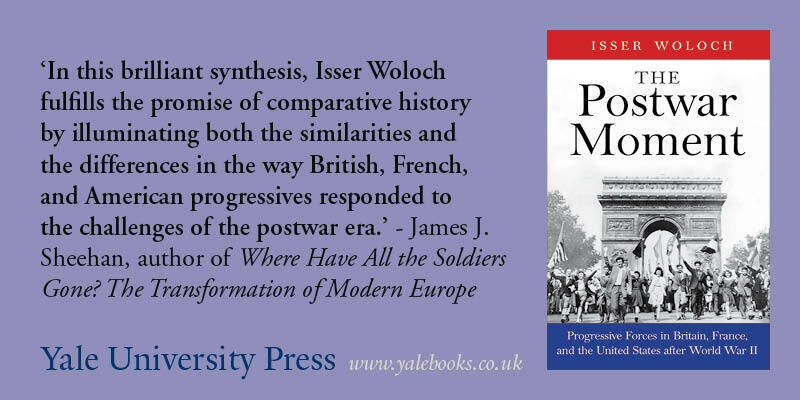 James McSpadden (Harvard University) studied the political influence of German, Austrian, and Dutch female parliamentarians between 1918 and 1940, focusing on individual women for each country who shed light on larger national political cultures. Through the examples of Anna Boschek and Gabriele Proft in Austria, Frida Katz in the Netherlands and Kathinka von Oheimb in Germany, he focuses on the fact that comparing case studies can make clear what was contingent and what was shared, as part of the same historical background noise. Among these three cases, Germany’s cross-party collaboration and robust social life that incorporated women stands out. It seems to be a model for a vibrant political culture in which female parliamentarians took part. Panel II focused on the theme of confronting the emerging modernity, paying a particular attention to ideas, identities and values in social movements and their consequences on the shaping of a modern social order based on a new set of values. Carolien Boender (Leiden University) analyzed honour and citizenship in the crisis of 1747-1749 in the Netherlands. She concentrated on the continuities in urban civic identities, discussing how a broader definition of citizenship can help to find such continuities. Focusing on the upheavals of 1747 till 1749 in the Dutch Republic, more specifically in the towns of Haarlem and Groningen, First, she explained how civic identity and citizenship were related. She discussed the historiography on citizenship during the tax revolt of 1747-1749 and explained how the study of concepts such as honour and harmony can provide new insights. Ideas about honour and harmony provoked town dwellers to exclude others and reshape the urban community. Ettore Bucci (Scuola Normale Superiore-Pisa) studied hopes and utopias in French ideas of self-management. He tries to see if links do exist between social management ideas developed by French theorists of the 19th century and French Catholic social movements that promoted “autogestion” in 1968 and after. Analyzing the role played by the Catholic left-wing trade union CFDT and the social movement around the factory Lip in France, he tries to understand how the Catholic world may have contributed to the development of new decision-making processes that go with a different vision of the French society. Jacopo Marchetti (University of Pisa) focused on new institutional economics (“NIE”) and the emergency of social costs and how to reconcile institutional changes with individual decision making processes, reflecting on the ideas of continuity and change between the 19th and 20th century in the ways of interpretation of politics and institutions. The NIE has been focused on the ability of social coordination processes, using methodological individualism as an epistemological approach. Marchetti reflects on the possibility of thinking social and institutional changes through the analysis of the decision-making processes. In her keynote speech, Constanze Sieger (University of Münster) questioned the influence of situations of political transition on cultures of decision-making by looking at a concrete example at a local level, focusing on municipal incorporations in Gelsenkirchen (Ruhr Area) during the transition from the Wilhelmine constitutional monarchy to the Weimar Republic’s parliamentary democracy. Surprisingly, one can remarks a greater scope for co-determination and participation on the part of municipalities in the empire than in the Weimar Republic. Imperial legislation already allowed to force through an incorporation against the will of the municipalities affected by citing the “public good”, but such an option was used systematically only in the Weimar Republic. As this change in procedure is not based on different underlying legal conditions, Sieger linked it to the transformation in “cultures of decision-making”, from an “incrementalistic decision-making” to “plan-making” (Uwe Schimank). Reducing complexity, this change brought about a transition from many quickly successive and mutually corrective individual decisions to comprehensive and planned decision-making, embedded within a whole process. We can see above all a change to the “purposes” that the restructuring of a local authority was supposed to serve, in that, in the Weimar Republic, the idea of municipal self-government regarding all political areas was relinquished entirely in favour of the administration of services by the local authority. Panel III dealt with the problem of violence and security in inner and foreign conflicts. Speakers examined this issue following different perspectives and adopting original methodological approaches. Nick Crown (University of East Anglia, Norwich), comparing Catholic and Protestant propagandistic uses of the memory of recently executed co-religionists, showed that martyrdom had a double function for both Protestants and Catholics in the 16th century. It played first a pedagogical role, as depictions of martyrdoms were used to explain specific features of the faith. Besides, linking the present struggles to the idealized past of Roman anti-Christian persecutions, the memory of martyrdom proved essential in consolidating the religious identity of English Catholic and Protestant communities. The religious struggle rapidly turned into a political conflict, especially after the 1569 Northern Catholic Rebellion. The relation between the internal conflict and the rivalry between Elizabethan England and the Papacy provoked an increasing politicization of the Protestant cause, now seen as deeply associated with the English national identity and the defense of English autonomy. This was a fundamental step in the forging of British identity and in the exclusion of Catholics from British citizenship. Carlos Antolín Rejón (Universidad Autónoma de Madrid) analyzed the importance of the concept of honour and reputation in the Spanish diplomacy at the beginning of the 17th century. Historiography has traditionally considered Philip III’s conservative strategy to be more concerned about financial recovery and avoiding wars than about the monarchy’s prestige and reputation. However, a closer analysis of the crisis between the Spanish monarchy and the Duchy of Savoy in 1610 suggests that reputation was also a major concern. Showing how deeply personal honor was concerned in diplomacy before the emergence of the Nation-State, Carlos Antolín Rejón’s research invites also historians of late modern and contemporary ages to take in consideration the anthropological dimension of the diplomatic phenomena. Erik de Lange (Utrecht University) focused on how the Congress of Vienna initiated changes in European attitudes to Barbary corsairing. De Lange examined the efforts of diplomats, transnational activists and pamphleteers in delegitimizing North African privateering during the Congress. As a consequence, the Regencies of Algiers, Tunis and Tripoli were framed as threatening, ‘piratical’ political entities that could be intimidated and attacked in order to restore security on the Mediterranean Sea. The Congress of Vienna thus signified a moment of profound change for the Barbary Regencies, it initiated a period of increasing imperial encroachment and proceeding political delegitimation. The imperialist aspects of the international order founded at Congress of Vienna, De Lange argued, should therefore receive more historiographical attention. Panel IV was aimed at reconsidering the role of language – taken in a broad sense – in forging national identities and state institutions before and after the 18th-century revolutions, traditionally seen as the starting point of the modern national rhetoric. Jonas Tammela (University of Jyväskylä) shown that the Lutheran clergy, acting as an intermediary between the centre and peripheries of the monarchy, played a very significant role in the modernization of the Swedish patriotic identity during the Age of Enlightenment. Analyzing changes in the language of Lutheran sermons between the last third of the 18th century and the first two decades of the 19th century, Tammela cast a new light on the origins of a modern patriotic discourse in the Kingdom of Sweden, as well as on the complex relationship between religion, nation and the state. Glauco Schettini (Fordham University), focusing on the political and cultural history of Italian republics in 1796-1799, pointed out that Italian patriots redefined the classical republican concept of virtue, based on heroic sacrifice for the community, in order to make it more suitable to the new social and political context. Empathy, brotherly love and charity were the bulk of the new concept of virtue, according to which citizens were no longer required to die for the country, but to lead a harmonious family life and to care for their fellow citizens. Such a redefinition provided the ideal of virtue with a wider audience, thus contributing to imagine the nation as a familial community and to foster the emergence of an autonomous and properly bourgeois private sphere. Tom Schuringa (University of Groningen) questioned how scientific expertise increasingly took over from political affiliation in being the most important qualification to be involved in the Dutch economic policymaking. Schuringa concentrated on the efforts made by the Dutch catholic movement in 1899-1927 in order to develop an economic expertise, seen as a means to acquire a more influent role in defining public policies. By this way, Schuringa showed that the institutionalization of economic policymaking, usually understood as a process that emerged in the Netherlands after 1945, was in fact the outcome, and not the instigator of a process of professionalization of political economy. Alessandro Bonvini (University of Salerno) dealt with the political journalism of Mazzinian exiles in Southern America in 1835-1848, investigating the identity stakes of their language. Following recent developments in transnational history, he showed how Mazzinian journalists contributed to the creation of a transnational public sphere. Not only the press worked as a connector within a network of exiles and patriots spread on both sides of the Atlantic, but it witnessed also the connections established with the new world by exiles taking part into the local political and military struggles, as well as in social life. Their national identity became thus complicated and plural by the integration in a transnational framework. Stefanie Hundehege (University of Kent) compared the poetical language of Baldur von Schirach and the prose of Ernst Jünger, showing that both the authors tried to find meaning in the First World War by connecting it to the Medieval past. Paradoxically, for both Schirach and Jünger the nature of the modern war is understandable insofar as it reveals destruction as the ancestral pattern of the human being. This archetypical pattern of destruction provides a global interpretation of the human history and allows to understand the significance of the First World War as an epiphany of the human nature. The scope and chronological choices of political history were debated during the Round table which concluded the workshop’s first day. Mark Philp (University of Warwick) pleaded the case of adopting a broad definition of politics, taking in consideration how the meaning of this term has changed during the centuries. The range of collective and individual actions which were incorporated in the political spheres has undergone deep transformations, as before the 18th century people regarded to politics as to something far from their everyday experience (the power, the crown, international relations…). One of the most remarkable ruptures between early modern and modern history has been, as noticed by Charles Walton (University of Warwick), the alleged dissociation of economics and politics resulting from the emergence of political economy as a scientific discipline since the 18th century. As a consequence, historians of the modern age are led to envisage the spheres of politics and economics as something reciprocally autonomous, while, on the contrary, concepts such as those of feudalism and Marcel Mauss’ gift have an indissociably double dimension, both political and economic. Charles Walton invited therefore to rethink political history paying attention to the economic problem which led to the social contract, i.e. redistributing resources. The state, created to solve this problem avoiding civil wars, became the most important economic actor in modern societies. Broadening the scope of political history, also by adopting the analytic tool of redistribution, encourages to reconsider traditional chronological limits. Pierre Purseigle made the example of the First World War: to what extent can we consider it a watershed? Did the war change all the belligerent actors in the same manners? Looking at what the state did in dealing with economic and social issues before, during and after the war in all the belligerent countries helps in rethinking the beginning of 20th century in different local contexts.